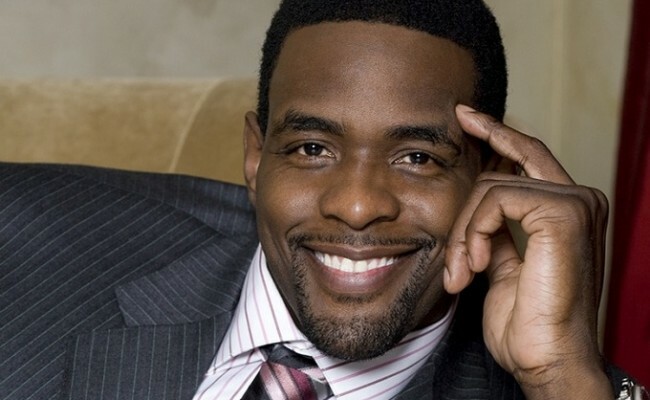 Years from now, Chris Webber will not only be recognized for his career as a professional basketball player for the NBA; as a commentator and analyst for Turner Network’s sports show, Inside the NBA; or his philanthropic efforts, but also for his distribution of knowledge through his personal collection of African American artifacts and documents. This is notable because we don’t typically associate basketball players with intellectualism. Nor do we think about basketball players, whether on or off court, or even post-NBA, as producers of knowledge or engagers of critical thinking practices. One clear example was last year when news surfaced that Shaquille O’Neal had earned his doctorate degree in Education from Barry University—several questions were raised about the authenticity of his scholarship. Nonetheless, in the same way that no one knew that Shaq was on his way to becoming Dr. O’Neal, even fewer are likely to be aware of Webber’s collection, which features first edition books, writings, and album recordings by well-known historic figures such as Frederick Douglass, Phillis Wheatley, Booker T. Washington, Paul Robeson, Marian Anderson, and others. It’s also important to note that in the brief video clip of his collection, Webber is actually wearing nitrile gloves, which is standard practice among most museum professionals when handling objects to reduce the transfer of elements between hand and object. In addition, Webber currently sports an afro. Yes, Chris Webber may indeed be an anomaly. Like many black public intellectuals who start out in the academy, most athletes attend college and enter the draft, but rarely do we draw similar connections or hear/read about athletes converting their multi-million dollar salaries and endorsements into cultural capital in the way that Webber has. Looking back, 1994 was an important milestone for Webber. Not only had he completed his first year in the NBA with the Golden State Warriors, but it’s also when he first began “collecting.” So even if “C-Webb” didn’t know at that particular time what he wanted to do with the artifacts, he was in fact reflective and critical, possibly drafting a blueprint of what future histories could mean and look like. Of course, this is not at all to say that all basketball players or every athlete is an intellectual, but black professional athletes should not be so easily excluded from conversations on black knowledge production when they are in many ways cultural purveyors. Because there is the interplay of race, class, education, politics, hip hop culture, representation and exploitation that shapes and informs athletes’ lifestyles, for historians and scholars African American sports history becomes an important site for entrée into such conversations.